Fans of The Maze Runner and Ship Breaker will love the fast pace, high stakes, and touches of romance in this thrilling novel by an award-winning author. Antony John is the Schneider Award-winning author of Five Flavors of Dumb, Thou Shalt Not Road Trip, and Elemental. For many years he was a regular visitor to the Outer Banks. He was bewitched by the beauty of the landscape and fascinated by the legends that surrounded them. 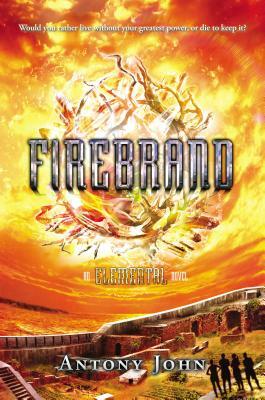 Although Elemental and Firebrand are set in the future, they have their origins in the islands' remote past—an era of sailing ships, small, independent colonies, and still-unsolved mysteries. Antony now lives with his family in St. Louis, Missouri.